is a fun place to stop and can be good fishing at times. There are a couple of camp spots here as well if you are equipped to stay the night. New Canyon Road is quite easy to travel, but watch out for traffic which can sometimes come at you fast. There are a few different route options here, and you can be creative. 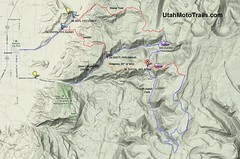 This time I happened to be riding at black hill and decided to loop up the sheep trail and back down the saddle. Later I decided to go up the saddle and on to the Arapeen section of trail then continue on to skyline drive and back down Left Hand Fork, then down the sheep trail. 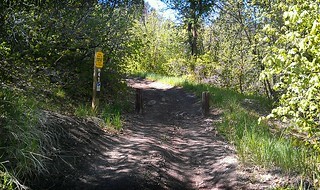 The section of the Arapeen trail mapped here has been recently improved and restricted to vehicles under 50". There use to be a fairly gnarly section that was hard to climb, now there are more switchbacks carved to make the going easier. I miss the gnarly section, but this is still a fun section worth doing and it's a convenient way to get to the top fast. 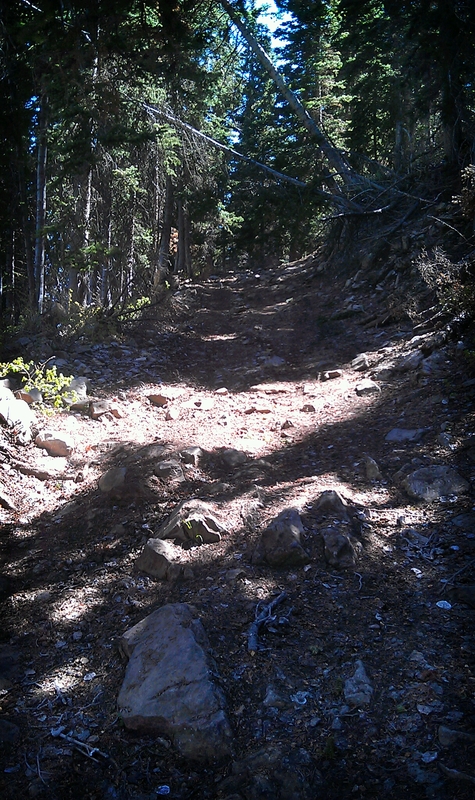 This section is probably the easiest now with only a couple somewhat loose/rocky sections. 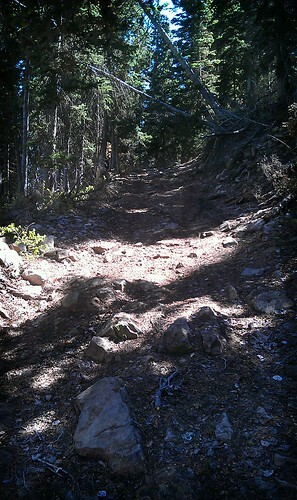 The loose rocky sections can be frustrating for beginners so be careful who you take on these trails. 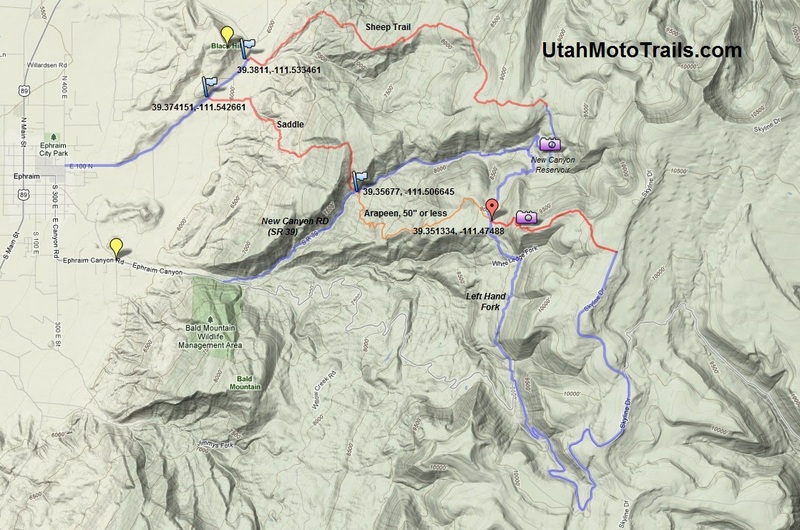 Left Hand Fork, New Canyon, Ephraim Canyon RD, and Skyline are all fairly easy, while the sheep trail and saddle are intermediate with Arapeen in the middle as far as difficulty. click for Directions to Ephraim from your location, see the map below for route information. There are more trails in this area than shown on the map although the main routes are shown. Spurs can be taken to add distance although many will dead end. 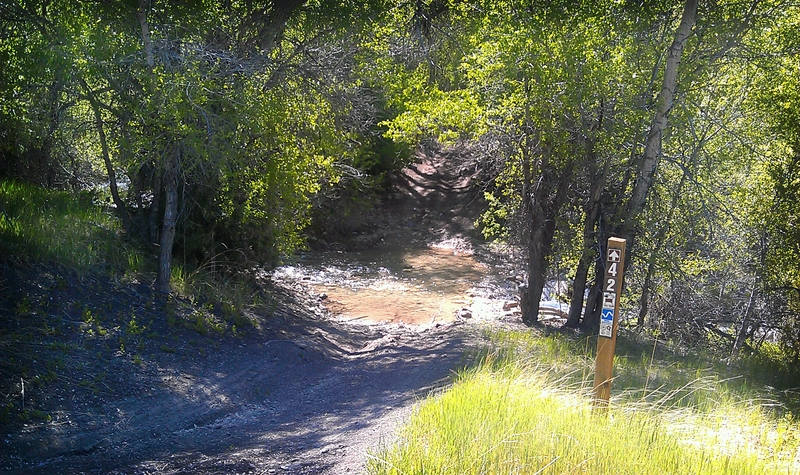 There are many trails beyond this area as well and many places to camp. If you plan to camp going higher in the mountain is the best option as there are many more options and cooler temps for summer camping. There is also camping in New Canyon, but none near Black Hill.